New or familiar to Ballet Under the Stars? Here are the 9 things you need to know for a great night at our FREE outdoor performances! Ballet Arizona dancers on stage at “Ballet Under the Stars”. Bring a folding chair or blanket to sit on. If you don’t mind getting up close and personal with nature or sitting on a blanket in the itchy grass, by all means do! But, for those of you who would prefer a comfortable and relaxed “theater” experience, we recommend a folding chair. Maybe one with a built-in drink holder if you really want to get fancy. As per city regulations, alcohol is not allowed at the parks, but we recommend cozying up with your favorite insta-worthy mocktail in hand! Food is welcome (and encouraged)! Since we’re outside in some of Arizona’s best public parks, you can bring your own picnic or nosh on some local food truck eats! We do recommend bringing some kind of drinks and basic snacks because some parks have limited food/drink options and sometimes vendors are scarce. The restroom situation isn’t fancy. Porta-potties. There, we said it. Each performance draws a crowd of around 3,500 people every year so… yeah, keep that in mind. This is probably our BEST PRO-TIP to make your evening hassle-free. We work directly with each city to have parking options available to our attendees BUT our performances can sometimes bring up to 4,500 people together in the same place at the same time! Our recommendation? Use Uber, Lyft, Taxi, your favorite ridesharing app, or call a friend! Trust us, you DON’T want to deal with the parking if you don’t have to. If you do have to brave the streets with your car, plan to get there early to leave yourself plenty of time to park, get situated on the green, and take advantage of the activities and vendors at the park before the performance begins. Don’t say we didn’t warn you. The early bird gets the SPOT. It’s simple. The earlier you arrive, the better the spot you’ll find on the green. As a bonus, you might even be able to catch the dancers warming up onstage! 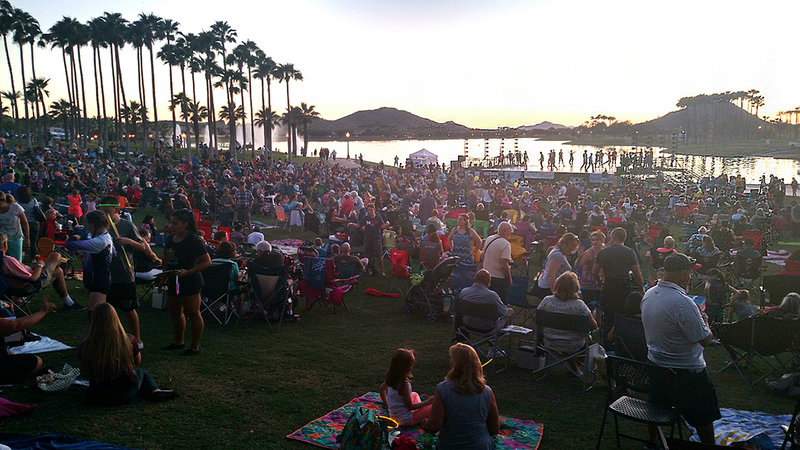 “Ballet Under the Stars” at Estrella Lakeside Amphitheater in Goodyear, AZ. Don’t forget to protect yourself from the elements! Do you remember – – – what the weather is like in September? All jokes aside, we really do deal with the earth, wind, and fire at our park performances. Keep yourself safe and comfortable by bringing hats and sunscreen for the pre-sunset heat, bug spray for the creepy crawlies, and a light jacket for the breezy evening temperature drop. Bring a good light-source for AFTER the show. It gets pretty dark in the park and gathering your stuff can be tough! Flashlights, lanterns, glow sticks — all light sources need to be dark during the show to avoid distracting the dancers and other people in the audience. However, we encourage you to light them up when the performance is over to help you pack up your belongings and exit the park safely. Not something you would typically hear at a performance but we are highly encouraging it this time. Why? Because there will be opportunities throughout the night for you to text-to-win everything from FREE TICKETS to one of our upcoming productions this season to promo codes, you won’t want to miss out! Many people are nervous to come and see a ballet for the first time. We get it– ballet has a very long and undeserved history of being hard to relate to and understand. YES, we do a lot of “storybook” and “fairytale” ballets and YES, some of the contemporary and modern ballets have the stark and, sometimes confusing, energy of a room painted by Pablo Picasso and Salvador Dalí. The most important thing to remember is that there is no right or wrong way to experience our performances. Sometimes you’ll recognize a familiar piece of music, a familiar story, or a familiar theme of life like love, despair, or determination. Sometimes you’ll experience a strong reaction to something (positive OR negative) that will delight and/or disorient you for days. Sometimes the atmosphere will be so foreign that you won’t even know what to think. The point is, ballet, like all art, seeks to present life as it was, as it is, and as it could be. Your opinion of the meaning and impact of the work is just as valid as anyone else’s. So, come as you are! Bring all your experiences, thoughts, ideas, and feelings and think of it like an adventure. Adventures have ups and downs, thrills and lulls, delights and despair. But, no matter what, after every adventure, you end up a bigger and better person than you were before. You have new experiences, new thoughts and ideas, and new feelings about life to carry you forward and on to the next. 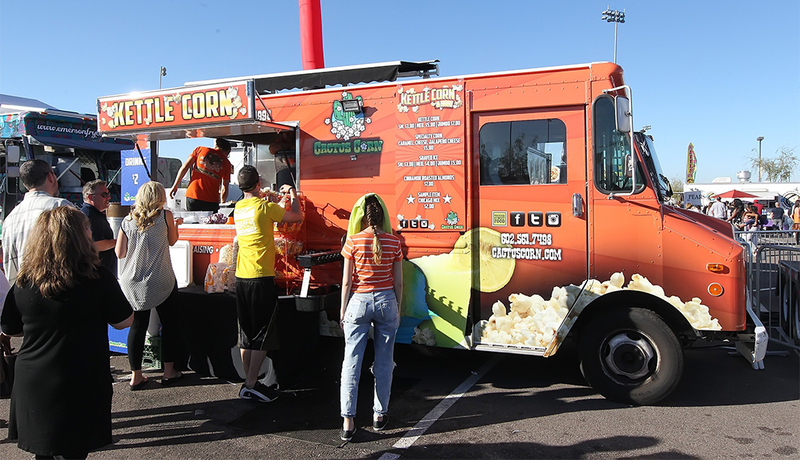 Wednesday, September 12th – Tempe Sports Complex in Tempe, Arizona – NEW LOCATION! 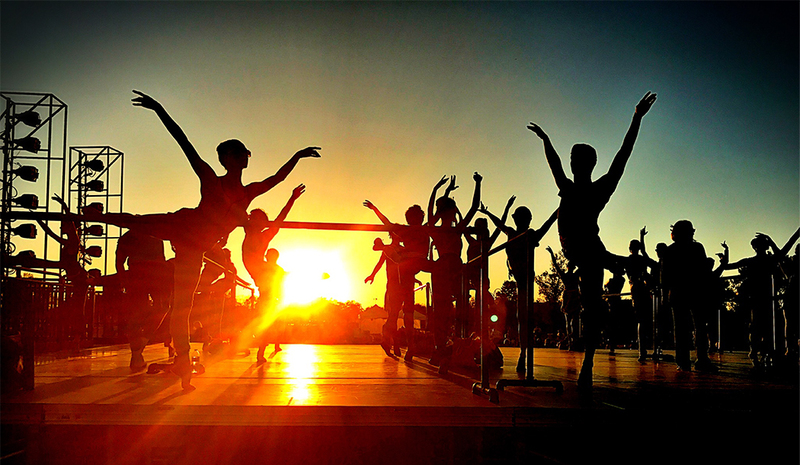 For more information about our FREE Ballet Under the Stars events in Phoenix, click here. We hope to see you there! I don’t see times posted for any of the locations? ?